Well I guess I am at it again. 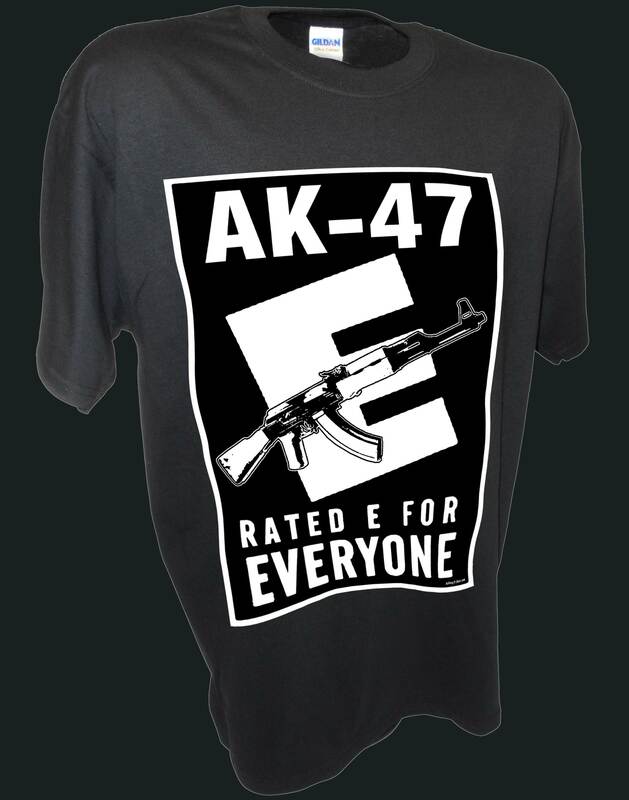 I really like the “Rated E for Everyone” logo on a t shirt, but the “GUNS Rated E for Everyone” didn’t take off so well. 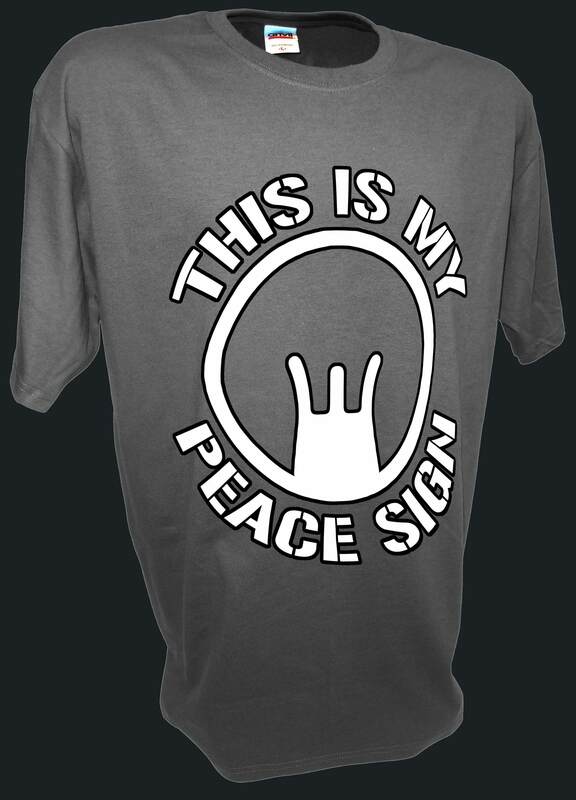 So I decided to put individual guns designs on the t shirts with the “E” logo. 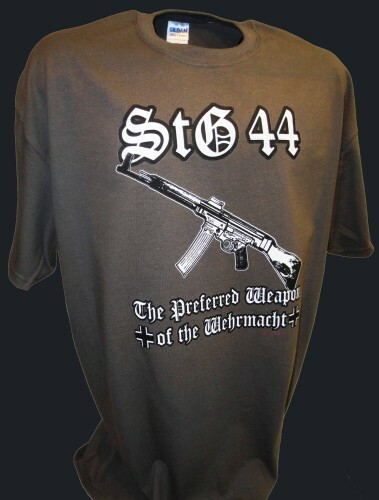 The first is the AK-47 assault rifle t shirt and second is the StG 44 Sturmgewehr World War 2 German assault rifle t shirt. The AK (or AK-47, or Kalashnikov) is a selective fire, gas operated 7.62mm assault rifle developed in the Soviet Union by Mikhail Kalashnikov in the 1940s. Six decades later, the AK-47 and its variants and derivatives remain in service throughout the world. It has been manufactured in many countries and has seen service with regular armed forces as well as irregular, revolutionary and terrorist organizations worldwide. 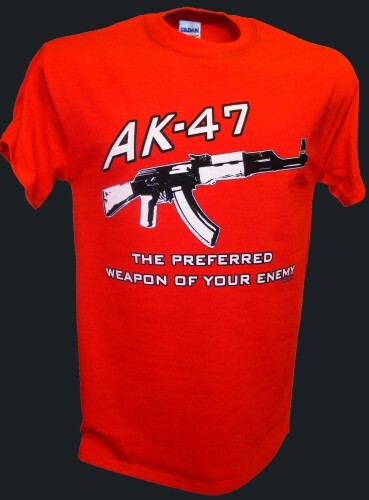 The designation AK-47 stands for (Avtomat Kalashnikova 47) – Kalashnikov automatic rifle, model of 1947. Design work on the AK began in 1944. In 1946 a version of the rifle, the AK-46, was presented for official military trials, and a year later the fixed stock version was introduced into service with select units of the Red Army. 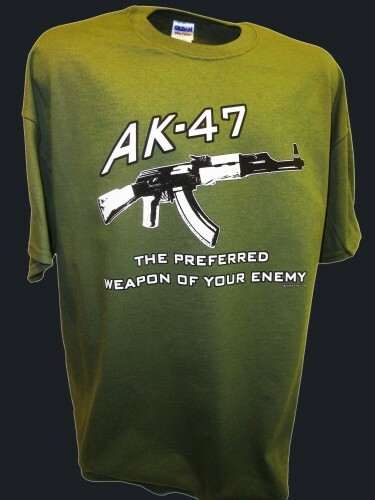 The AK47 was officially accepted by the Soviet Armed Forces in 1949. An early development of the design was the AKS-47 (S—Skladnoy or “folding”), which differed in being equipped with an underfolding metal shoulder stock. The AK-47 was one of the first true assault rifles and, due to its durability, low production cost and ease of use, the weapon and its numerous variants remain the most widely used assault rifles in the world — so much so that more AK-type rifles have been produced than all other assault rifles combined It was also used by the majority of the member states of the former Warsaw Pact. 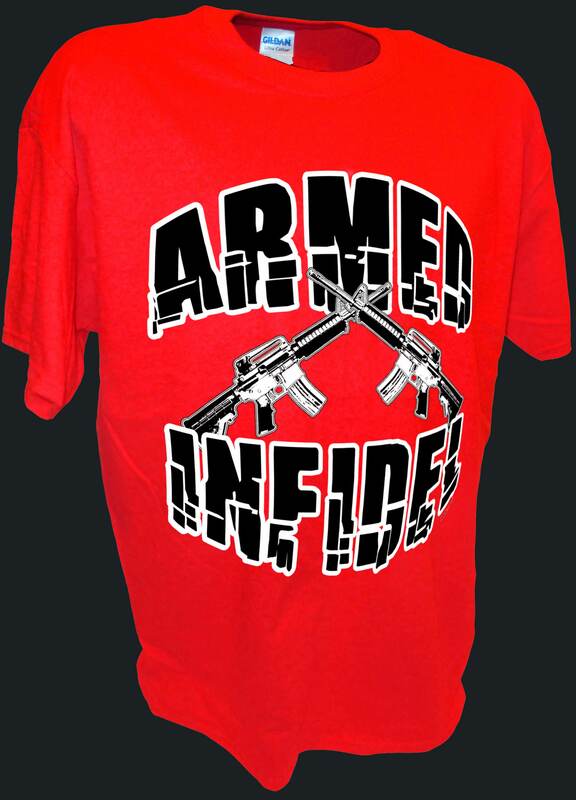 The AK-47 was also used as a basis for the development of many other types of individual and crew-served firearms. During World War II, the Germans developed the assault rifle concept, based upon research that showed that most firefights happen at close range, within 300 meters. The power and range of contemporary rifle cartridges was excessive for most small arms firefights. As a result, armies sought a cartridge and rifle combining submachine gun features (large-capacity magazine, selective-fire) with an intermediate-power cartridge effective to 300 meters. To reduce manufacturing costs, the 7.92x57mm Mauser cartridge case was shortened, the result of which was the lighter 7.92x33mm Kurz. 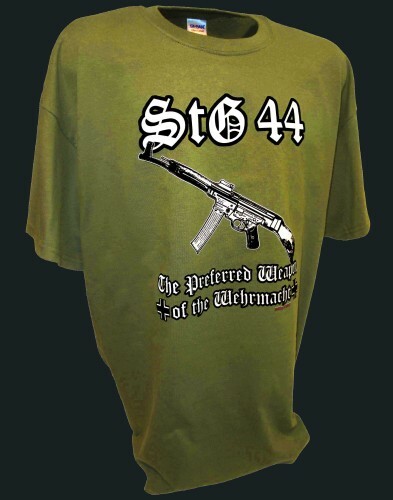 The resultant rifle, the Sturmgewehr 44 (StG44) was not the first with these features; its predecessors were the Italian Cei-Rigotti and the Russian Fedorov Avtomat design rifles. The Germans, however, were the first to produce and field sufficient numbers of this assault rifle to properly evaluate its combat utility. Towards the end of the war, they fielded the weapon against the Soviets; the experience deeply influenced Soviet military doctrine in the post-war years. Mikhail Kalashnikov began his career as a weapon designer while in a hospital after being wounded during the Battle of Bryansk After tinkering with a sub-machine gun design, he entered a competition for a new weapon that would chamber the 7.62x41mm cartridge developed by Elisarov and Semin in 1943 (the 7.62x41mm cartridge predated the current 7.62x39mm M1943). A particular requirement of the competition was the reliability of the firearm in the muddy, wet, and frozen conditions of the Soviet frontline. Kalashnikov designed a carbine, strongly influenced by the American M1 Garand, that lost out to the Simonov design that later became the SKS semi-automatic carbine. At the same time, the Soviet Army was interested in developing a true assault rifle employing a shortened M1943 round. The first such weapon was presented by Sudayev in 1944; however in trials it was found to be too heavy. A new design competition was held two years later where Kalashnikov and his design team submitted an entry. It was a gas-operated rifle which had a breech-block mechanism similar to his 1944 carbine, and a curved 30-round magazine.